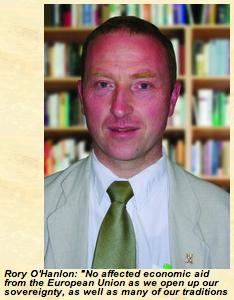 Dent Pride: Fears Father Dougal’s Brother Intends To Picket Dublin Pride. 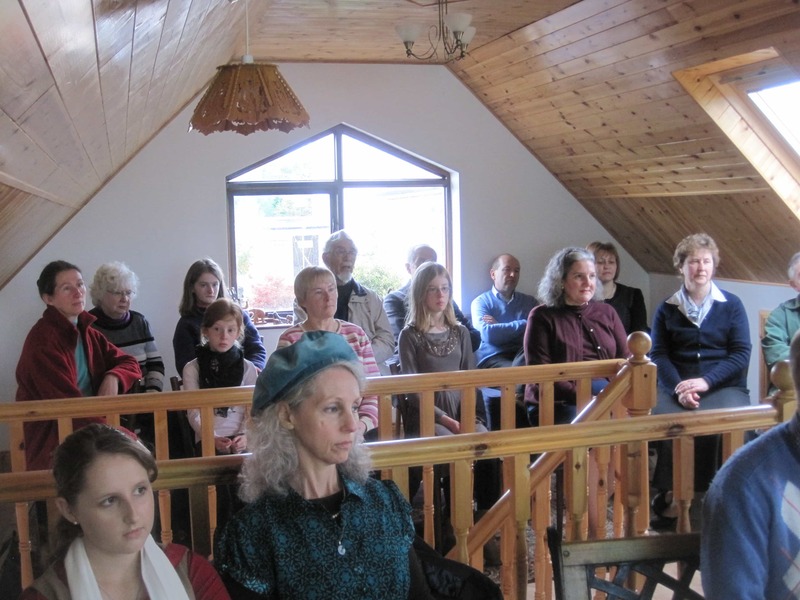 An ultra-conservative Christian organisation called The American Society for Defense of Tradition, Family and Property are in Dublin this week and there are fears they plan to picket the Dublin Pride Festival. (apologies for the Dougal quotes, we couldn’t resist). 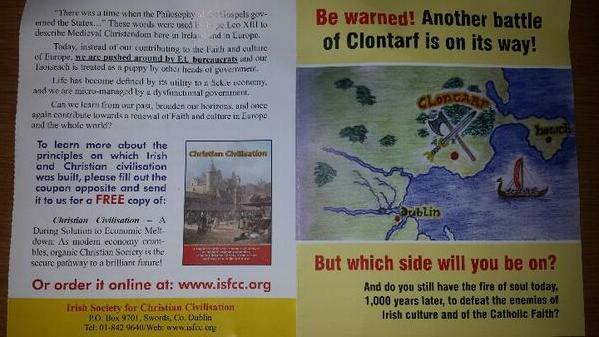 The organisation appears to be the parent body of an Irish group named Irish Society for Christian Civilisation. The ISFCC promotes rosaries against abortion and seems to be heavily invested in the secrets of Fatima, as is the rest of the TFP network. We’re all going to heaven lads, waaaheeey! 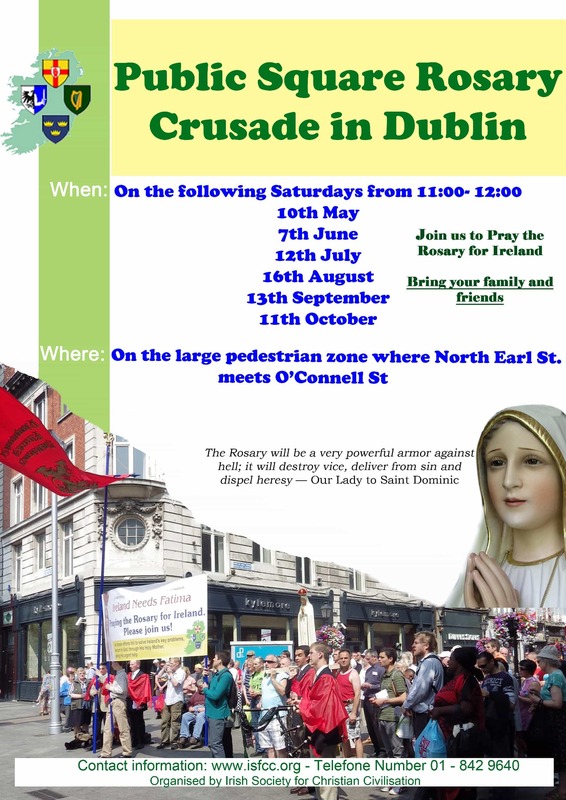 They have published a poster outlining several days of a “rosary crusade” in the centre of town, along the route where Pride passes. 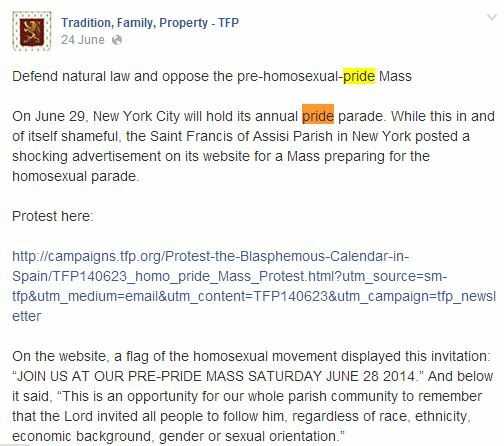 Stateside, their parent organisation has called for protests against a pre-Pride mass held in NYC. A scan of their Facebook page leaves no doubt over their militant anti-gay agenda. This has led to fears from some Twitter users that they intend to picket pride. TFP is fiercely opposed to the ‘equality movement’. Equality in this case not the call from the satanic feminists or the devil’s own gays but the great threat to society posed by Piketty, Stiglitz and other anti-Christ communists. Finally a use for antidisestablishmentarianism. That’s nearly as mad as that thing you told me about the loaves and the fishes. Bizarrely, most of our readers will be shocked to learn that the director of the ISFCC is Rory O’Hanlon, brother of Ardal O’Hanlon who famously played the hapless Fr.Dougal Maguire on the Channel 4 hit Fr.Ted. You could say one is small the other is far away. Highlights of the ISFCC website include the Youth Camp (boys only) and the ‘Manners and Social Graces Day for Mothers and Daughters’ which looks decidedly less fun. 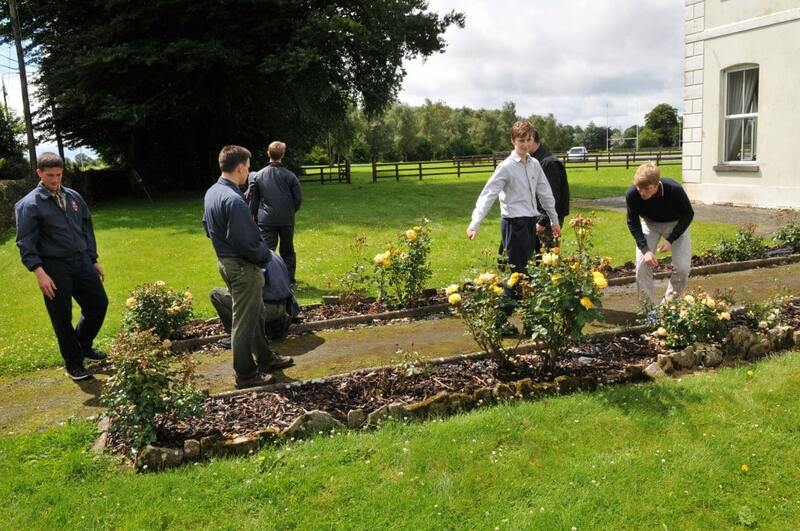 Well worth checking out this video of a typical day out for the lads protecting the unborn. God, I’ve never seen a clock at 5 a.m. before! If you were in any doubt about the real evils of mankind, for they are legion, be assured they are abortion, divorce and of course the gay. Oh, worse than Hitler! You wouldn’t find Hitler playing jungle music at three o’clock in the morning. Update: Thankfully fears around TFP and ISCC activity on O’Connell St over the weekend have dissipated. Sources have made it clear they will be out of Dublin this weekend. I’m a bit frightened by the fact that these nutty nutters are able to function normally and could disguise themselves as ordinary people. Although I could do with that “Mother-daughter social graces” class. Is it free in? But David O’ Leary they have the power of god on their side and I’ve heard he’s got awesome super powers…like appearing on toast for no reason…just cos he’s god. So they might win in a fight. Excuse me, I was too busy digging dead orphans out of the ground to attend my weekly social graces seminar. Like the American neocon nincompoop shaking his head in disapproval at the anti-war march in Dublin in 2003, as sympathetically documented by RTE. Size of that flag. Is there a slight irony in a man protesting a Gay Pride parade by taking out his 20 foot long shaft and waving it side to side? Glad I’m not the only one who noticed that one! I wish you’d put the rosary dates up sooner. Now I’ve missed a couple!! Jennifer FortuneAine NolanKatie Noone I think you all know where we need to be on September 13th……. They look like extras from craggy island – inbred! Brave of you to link that comment with your own Facebook page. 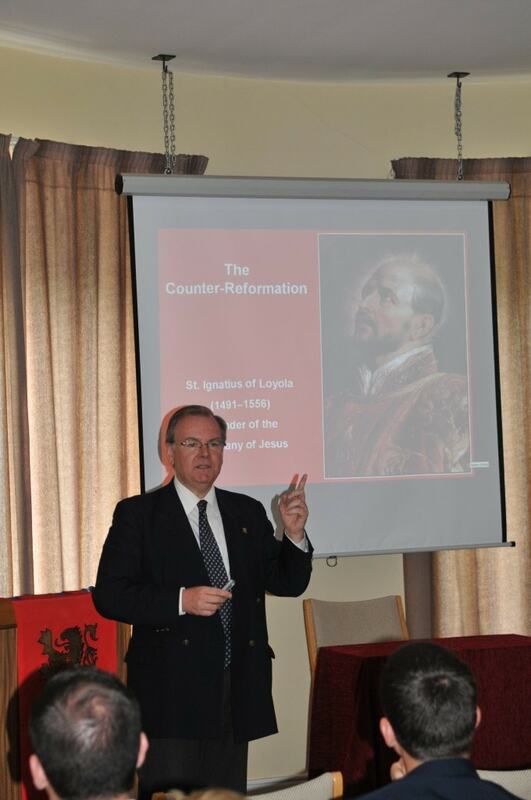 They were in Limerick today. Brother Ted got eaten alive. Putting A Label On It. Out Of His Bleedjin Shoebox. The Great Non Alcoholic Pricing Swindle. #rabbleRaker: Irish Company Accused of "Modern Day Slavery." Thanks to all that came through our final (ish) party. We'll be back with some updates in the NY.